In 2001, Peter Jackson became the next George Lucas with The Lord of the Rings. But then he became prequel George Lucas in 2012 with The Hobbit Trilogy. Now, with the release of Mortal Engines, he has his own Howard The Duck. Following a cataclysmic conflict known as the Sixty Minute War, the remnants of humanity regroup and form mobile “predator” cities. Under a philosophy known as “Municipal Darwinism”, larger cities hunt and absorb smaller settlements in the “Great Hunting Ground”, which includes Great Britain and Continental Europe. In opposition, an “Anti-Traction League” have developed an alternative civilization consisting of “static settlements” in Asia led by Shan Guo (formerly China), protected by the “Shield Wall”. As the film opens, thee city of London captures a small mining town called Salzhaken, absorbing its population and resources, under orders of Lord Mayor Magnus Crome. But hiding among the Salzhakens is a masked girl named Hester Shaw (Hera Hilmar), who seeks to assassinate Thaddeus Valentine(Hugo Weaving), Head of the Guild of Historians. Tom Natsworthy (Robert Sheehan), a teenage Apprentice Historian, is sent to London’s “Gut” to collect Old-Tech for London’s Museum, accompanied by Valentine’s good-natured daughter Katherine. Hester attempts to kill Valentine but Tom intervenes, pursuing Hester to a waste chute. Hester escapes out the chute, but not before telling him that Valentine murdered her mother and scarred her face. When Tom informs Valentine of this, he pushes Tom down the chute. Looking for a way out of this movie. Tom and Hester are forced to work together to survive in the Great Hunting Ground, and Tom learns the story of Hester’s tragic past, and they must get some sort of item which should have just been called “The Plot Device” in order to do something or other that frankly we were hazy on because we were too busy at that point banging our heads on the seats in front of us trying to knock ourselves unconscious rather than have to sit through this complete and total mess of a movie or endure the lead performances, which may not be quite Valerian and the City of a Thousand Planets bad, but they are significantly less charming than a meme of a kitty. And not even a really cute kitty doing something playful. We’re talking one of those hairless cats being compared to a hot dog. It is undeniable that Mortal Engines, while sometimes a bit too garish, is a visually spectacular effects extravaganza, maybe even one of the most breathtaking since Avatar. But it’s also proof that there was indeed more to Avatar than just the effects. The story have have been simple and derivative, but there WAS a story. 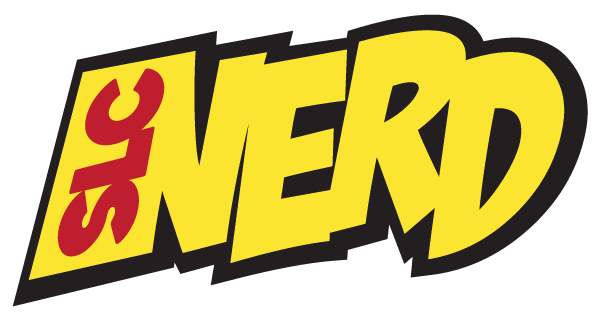 The characters may have been cartoonish and simple, but they had defining traits basic arcs. In Mortal Engines, all we get is the broadest of ill defined character types. The whole experience is a bit like being thrown into a weird RPG module with pre-generated characters and a game master who is far more interested in travelling to wacky places and collecting shiny crap than explaining the “how” or “why” of anything, and is having so much fun playing with his dice and his maps that he forgets the players are even there. Howl’s Moving Castle competing in The Cannonball Run. 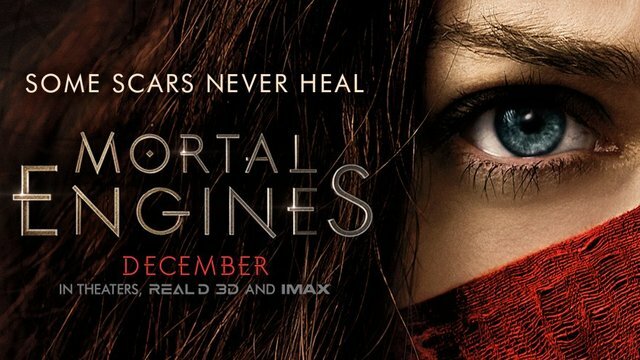 Mortal Engines plays like one big seemingly endless run on sentence, and the person talking isn’t even sure of what they are trying to tell you, but they certainly had a lot of caffeine. Director Christian Rivers (who did second unit on The Hobbit) gives us some decent action, but the style is busy that he’s barely holding it together. It gets choppy at times, and that would be a OK if he was able to infuse the film with any emotional heft or sense of flow. Some of this has to be attributed to the script by Jackson, Fran Walsh and Phillipa Boyens, who have delivered a rushed and muddled mess where each character introduction seems to consist of the clumsy entrance of a new face to deliver unfocused exposition. One has to wonder if there’s another two hours of footage out there where they bother to slow down to make sense of any of this, but plenty of it clearly just hasn’t been thought out (memories of society before the Sixty Minute War are clear enough that the complete concepts and history of Charles Darwin have been preserved and passed down, yet statues of the Despicable Me minions are mistaken for American deities, and technology is rudimentary and backward apart from the roving megalopolises that were created . . .how?). Writer Phillip Reeve’s original book can take a bit of the blame, too, but it plays a lot more convincingly on the page and actual explanations are given. The acting ranges from the over the top scenery chewing of Weaving’s Valentine and Patrick Malahide (who is best known for playing “Guy With Too Much Lipstick” in every movie he’s ever done, including US Marshals) as the Lord Mayor, to the amateur hour “this is my first commercial” performances given by Hilmar, Sheehan and especially Jihae, who seems to have wandered off the set of a Wachowski movie. The only remotely interesting one is Shrike (Stephen Lang), who is a cross between Frankenstein’s monster and the Terminator. It’s a ridiculous character and his story goes nowhere, but provides a very small taste of what this movie might have been if any of the ideas had been developed past the most rudimentary beginnings. If you are really into steam punk and spectacle, the sheer visual wizardry may be enough for you. But if you are a fan of the books, don’t count on sequels coming any time soon. The placing of this lazy, overblown mess opening opposite a bold new resurrection of Spider-Man by Sony illustrates the fact that superheroes will continue to dominate the box office until Hollywood remembers how to turn anything else into a decent blockbuster, and we predict that Mortal Engines will sputter and die before Christmas.